The Sunday Times Travel Magazine awards the Valle dell’Erica Resort the silver medal in the category of best family hotels worldwide. 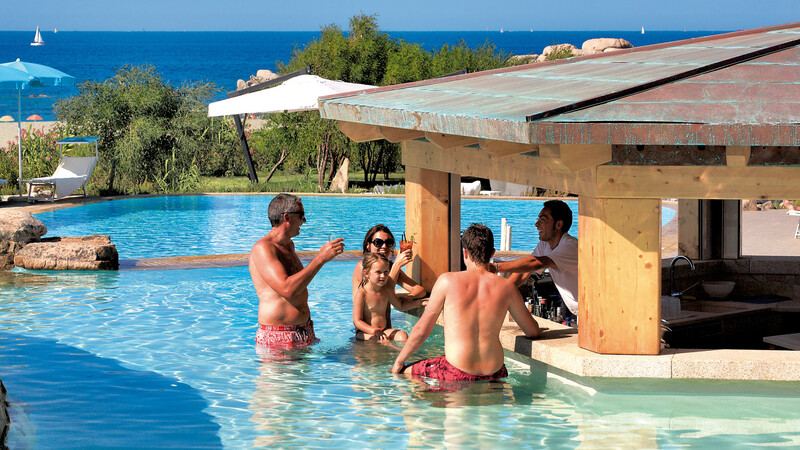 This time it is the turn of the prestigious English newspaper the Sunday Times, whose monthly Travel Magazine has included the Resort Valle dell’Erica in Santa Teresa Gallura in its list of best luxury hotels for families worldwide. 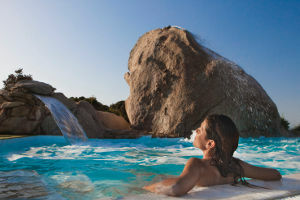 What struck the British press was the excellent value-for-money ratio at the Valle dell’Erica Resort which has received a number of awards in the past for its dream location and excellent services and which is now also the best destination for those travelling with children in Sardinia. The numerous free services for children and free time activities can all be found at Ericaland: the world for children of all ages offering a playground, nursery and bottle feeding preparation space where parents can find everything necessary for nurturing newborn babies. In addition there is a dedicated restaurant with grill and pizzeria with wood-fired oven for lunches and dinners in the company of new friends, always under the watchful eyes of the assistants. There are also vast green spaces in which playing in complete freedom is the backdrop for “hyperactive swimming programmes, jewellery-making workshops, five-a-side football and golf schools up to and including a Robinson Crusoe-style adventure in a little bay near the resort“ as the English newspaper puts it. 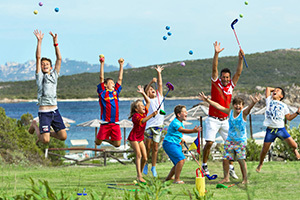 In addition to the Baby and Mini club (free from age 2 to 9), children on holiday with the family in Santa Teresa Gallura (up to age 13) can take the opportunity to do canoeing, take golf lessons, play volleyball or go snorkelling in addition to using a multimedia room with the best in video game consoles, all for free. 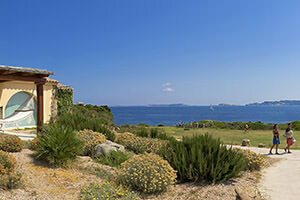 In the same issue, the Sunday Times Travel Magazine also praised the Wellness facilities at the Hotel La Marinedda in Isola Rossa, as of this year the first and only 5 star hotel on the north-west coast between Alghero and Santa Teresa Gallura. 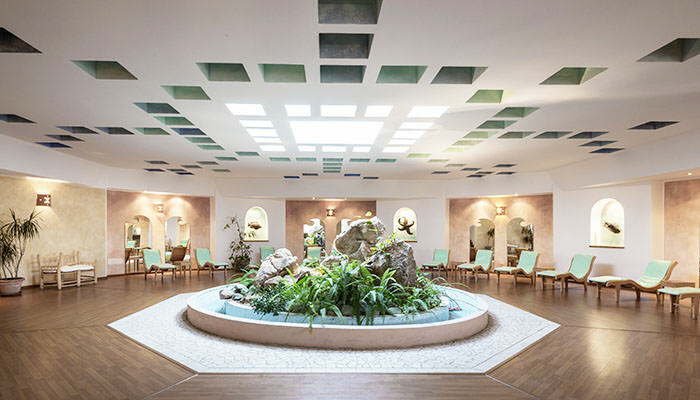 With 2,500 square metres of space, the hotel’s Thalasso Centre & SPA, is considered among the best SPAs in the Mediterranean, unique in terms of style and the design of its pools. Specialized in Thalassotherapy, the Elicriso Wellness Centre is an exclusive corner of well-being in which you can satisfy every desire for relaxation and the regeneration of body and soul. It offers four multi-function pools with heated sea water that exploit the benefits of properties found in the marine environment, three of which are outdoor pools including a Jacuzzi and which also offer cervical massages, waterfalls and whirlpools. The fourth is a spectacular semi-covered pool, with a circular shape that gives it even more elegance and refinement and which is ideal for water activities, with counter-current water jets. For a complete wellness circuit there are also two saunas, a hammam overlooking the Marinedda bay, massage cabins, Thalasso and beauty treatments, a cardio-fitness room and relaxation room with herbal teas. Once again the English recognize Sardinian excellence!